Our Taste-Learn-Create PLAYshops are all about having fun. Fun-up a Bridal - Baby - Birthday Party with one of our PLAYshops? Contact us to discuss details on a great way to CELEBRATE and CREATE. We have gift certificates for our PLAYshops! This Chalk Paint PLAYshop invites you to bring your own piece, which must be small enough for you to carry on your own and can be completed within 3 hours. Suggested items are a kitchen chair or stool, small side table, nightstand, etc. Unsure of your piece, please call Wanda to confirm size. You will choose your color and the technique you wish to use on your piece. 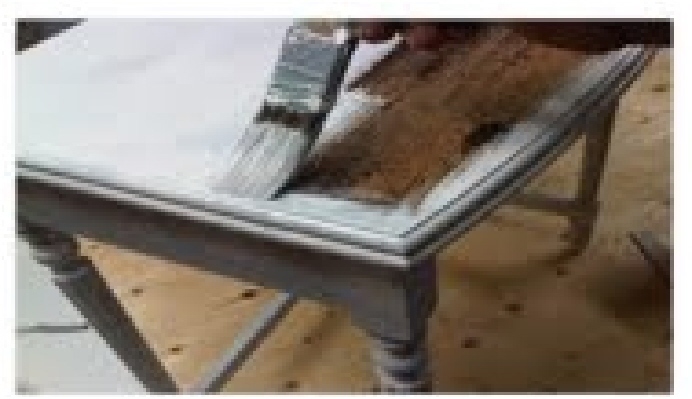 You will leave the Chalk Paint PLAYshop with a finished piece of furniture plus the skills and confidence to tackle future Chalk Paint projects. Cost is $95 - includes all supplies required for your project while enjoying An Afternon Tea as you create your masterpiece. You also receive 10% off all paint supplies during PLAYshop. Book a Tea Tasting and Discover the World of TEA!!! Come shop the large selection of MAD MATS in stock. Visit us at the Ontario Horticultural Convention at the Ambassador in July 27-28, 2018. Always expanding our Tea, Tisane and Teaware collection! ...and for my love of TEA!! !